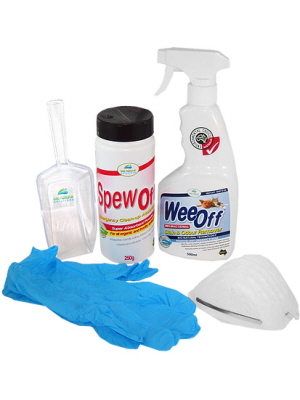 - Ideal to remove grease, fat mould, mildew. 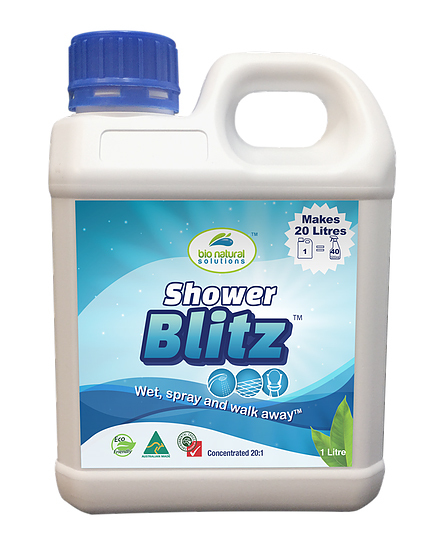 Shower Blitz™ is ready to use and contains cultured bacteria that eats away and decomposes hard to remove soap scum and prevents the growth of mould. 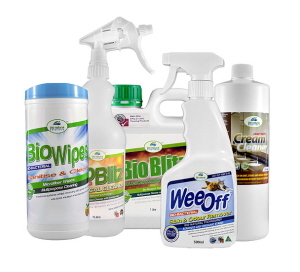 The bacteria bio-degrades matter rather than mask or bleach the problem. 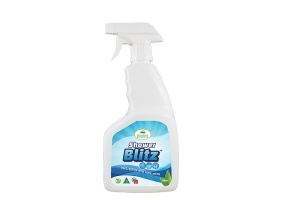 Gone are those days of tough scrubbing and cleaning with Shower Blitz™! You can use it all over the shower, tiles, sink, and toilet. 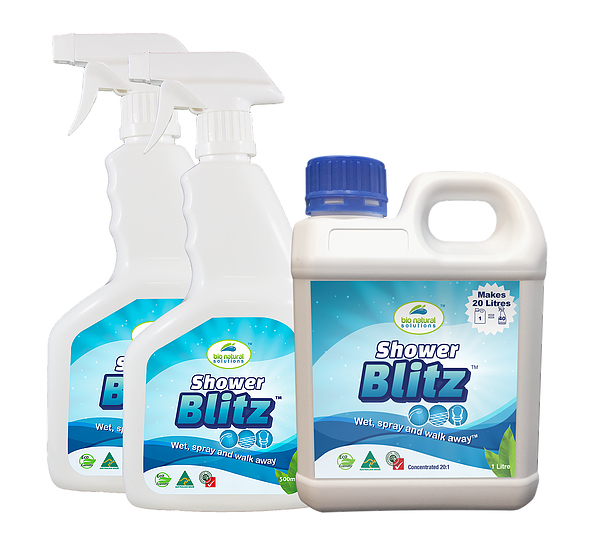 Available in 500ml, 1L, and empty bottle. 1 Litre is concentrated which can make up to 20 litres.